Communicating Chokes for various industrial and electrical industry uses. A Line Choke is used to provide better protection against over voltage on the line supply. 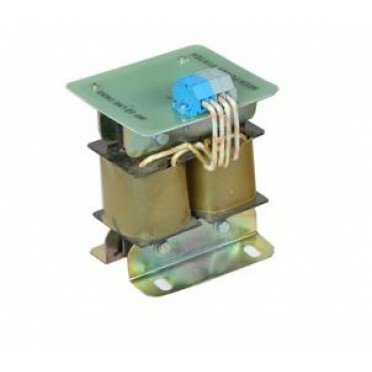 Our Line Communicating Chokes are manufactured using optimum Copper Wires Terminal Blocks. These are simply coils of wire that allows a magnetic field to form around the coil when the current flows through. These Chokes are available in single and three phases. Communicating Chokes for various industrial and electrical industry uses. A Line Choke is used to pr.. Communicating Chokes for various industrial and electrical industry uses. A Line Choke is used to ..
Iron cored and air cored chokes for various applications in industry: Input choke at a/c drive i..